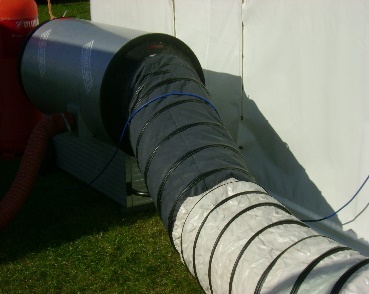 Flexible Ducting, Marquee Ducting, Ventilation Ducting and Fume Extraction Hoses custom made to suit your requirements. 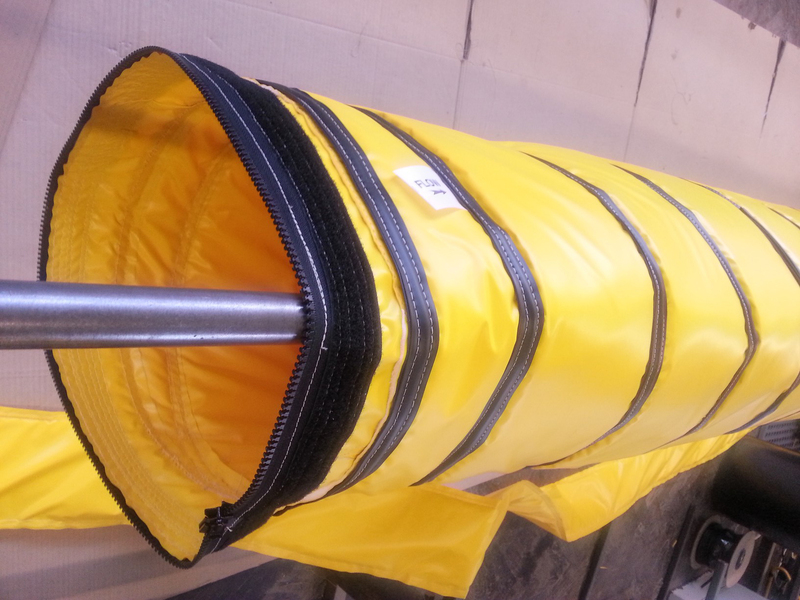 Flexible Layflat Ducting, usually used as a mining ventilation ducting, also used for warm/cool air movement, in tents, marquees, above false ceilings and in temporary buildings. Temperature range as PVC1 & 2, lengths up to 20m. Supplied with rings or Velcro ends for joining lengths together. Approved by the National Coal Board. Made with hypalon start joined to PVC1 or 2. Used when the start of the heater is too hot for PVC but cools down over the length of duct. Can be made with sil1 and hypalon as well when the start of the heater is very hot. Comes with various end fittings. An large diameter flexible insulated ducting for heating and ventilation, crop drying and exhaust extraction. A variant of PVC1 and 2 it is supplied with 10mm of foam sandwiched between 2 layers of fabric. 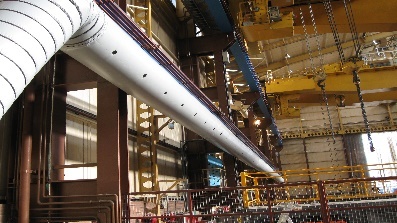 Excellent insulation qualities, can be made as wire reinforced or layflat style ducting.